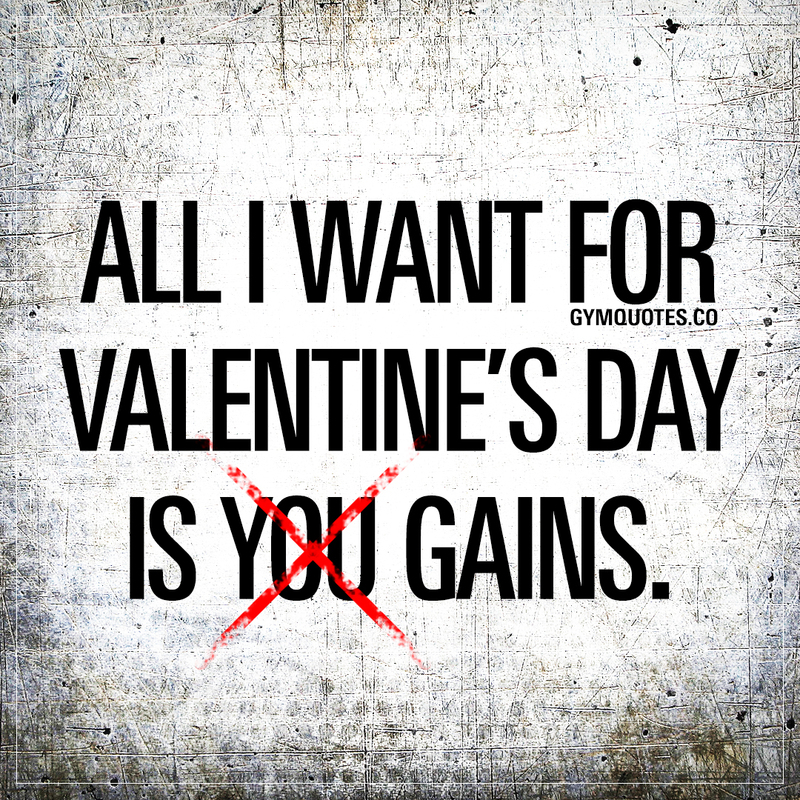 Valentine's Day Gym Quotes: All I want for Valentine's day is GAINS. All I want for Valentine’s day is GAINS. Share this Valentine’s gym quote with someone if you like it and.. This “All I want for Valentine’s day is GAINS” quote (image and text) is copyright © Gym Quotes 2019.